The Transportation Designer is a professional concerned with designing the primary means of transport and capable of designing a number of different kinds of vehicle, such as motorbikes, yachts and mobility systems. The Transportation Designer is able to reconcile aspects of style, technique, aerodynamics, production feasibility and ergonomics. This kind of designer must have a profound understanding of the product and the functions that the consumer is looking for, so as to be able to have a clear idea about the relationship between design and marketing, innovation and commercial requirements along with the social trend and the economic background in which he is operating. Career opportunities - Transportation Designer, Car Designer, Bike Designer, Yacht Designer, Mobility System Designer. Title - This BA is accredited by Italian Ministry of Education Research (MIUR) as an Academic Diploma Level I and awards 180 credits. Thanks to the invitation of Mercedes Benz Fashion Week Tbilisi, in collaboration with BENEXT Fashion Design Contest, IED will hold a special event on May 4th for all those young talents who are interested in Fashion and all creative disciplines such as Visual Arts, Design, and Communication. Undergraduate courses… stay one step ahead! Apply early to Undergraduate courses and get a 15% discount from your tuition fee. Enrol within April 10th! Find out more about programs, admission process and counselling events, even in your home country. Find out the pages dedicated to the creative professions: Transportation Designer. Context - Anticipator of market trends, processes innovator as per cultural aptitude, the contemporary designer is more and more involved in the strategic decisions of a company and of urban scenarios: he represents a key factor speaking of enrichment and progress of a brand values. The course focuses on design experimentations in different fields and always in cooperation with big automotive companies. Methodology and structure - Methodology deals with a daily comparison between theoretical skills techniques and real applications in various projects. Students are spurred to acquire operative autonomy, make coherent and sustained choices, establish relationships with real customers and take on specific responsibilities. This semi-professional experience represents a winning card for graduates when they enter the working world. Students gain operational autonomy, managing independently a designing path, in particular the step dedicated to concept development meant as creative and formal synthesis of the project idea. Students have also the chance to deepen technical and instrumental tools connected to bike design and yacht design through a partially custom-made study plan. Students can develop a Final Project in bike design or yacht design, alternatively to car design. The educational offer is enriched by a series of meetings dedicated to the preparation of a personal portfolio. Remarkable is that teacher who accomplishes himself what he teaches to others. IED faculty are professionals that daily face the market. Here you can read their bios. Freelance Designer graduated in Interior Design. 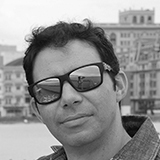 He worked for Bodino group, within the industrial design, furniture design, exhibit design and architecture fields. He then joined the design collective Operai del Design, working for Volkswagen, Audi, Italdesign, Alfa Romeo, Italia Independent and Mapei. He collaborated also with Magn3t Italia in exhibit design and communications as Chief Designer, for Italian and international brands such as MTV, Rai and Corona beer. 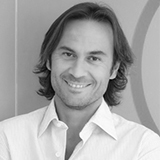 As freelance he collaborates with clients such as Enel Energia and Ferrero. Degree in Architecture at the Polytechnic in Turin, after several experiences in important architecture, engineering and design studios, he founded in 1998 his own design and architecture studio in Turin. He’s been teaching at IED since 1996. He collaborated with many important car companies: for example Fiat, Lancia, Hyundai, Volkswagen and Ferrari. Graduated in Automotive Engineering in 2009, after a working experience as designer for the naval industry, he works as CAS Designer at Torino Design in car body virtual modeling. 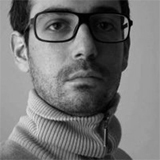 Since 2010 he has been taking part of FIAT Design Centre in Turin, where he collaborated in creating business vehicles interiors and exteriors. He’s currently involved in an interior design project for a spider. He began his career with a concept car project in collaboration with Kia Motors Korea in Milan. He joined Fiat Advance Design Team in Turin in 2005, where he currently collaborates in style researchers for 500 Abarth, Lancia Delta and Lancia Ypsilon. After a working experience in Pininfarina as 3D Designer, he went back in Fiat for following the interiors development of the new Panda and 500 gamut. He thereafter was added in the UX Design LAB of FCA Group, where he improved as Interaction Designer. Graduated in Industrial Metal-mechanic, he gained working experience in interior and exterior design projects. Chief Modeler and Prototipe Manager for the company Stile Bertone since 2006, he has also been teaching at IED Torino since 2015. He previously worked for Alfa Romeo, Citroen, Opel, Fiat, LandRover, BMW e Ferrari. After several experiences in companies such as Fiat Design Center, Form Design Center Italdesign, Idea Institute and Nucleo Design Factory, he joined Kiska’s transportation design department. 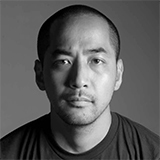 In 2006 he founded ESSERE Group, multidisciplinary company engaged in external consultancy for the transportation and product design, but also for marketing, brand and product strategy, architecture and POS design. 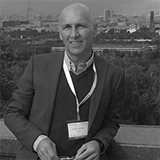 He has been teaching at the University of Applied Sciences FHS Salzburg Kuchl since 2006. Graduated in Mechanical Engineering in Bogotà, he achieved a Master in Transportation & Automotive Design at the Polytechnic in Milan. He’s involved in product design development project for companies such as The Coca-Cola Company, Digare Design, Cabko SA, Terpel SA and airline companies Avianca. In the automotive design sector he collaborated with Volkswagen Group, also working in modeling for Porsche, Kia, Honda and Suzuki. 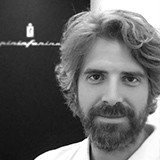 Senior Designer at Pininfarina Extra. Among his projects: Head for ski, helmet and ski bindings, Riva for table and chair made of wood, Motorola for a mobile phone USA, Studioplast for yacht interior and exterior, Design Top only Button for Lavazza LB1100. In 2016 he was the only designer who took part in Expo 2015-Martini Terrace, where he designed a yacht for Fincantieri Montecarlo Yatch Club and publicly unveiled the watch he created for Bovet. 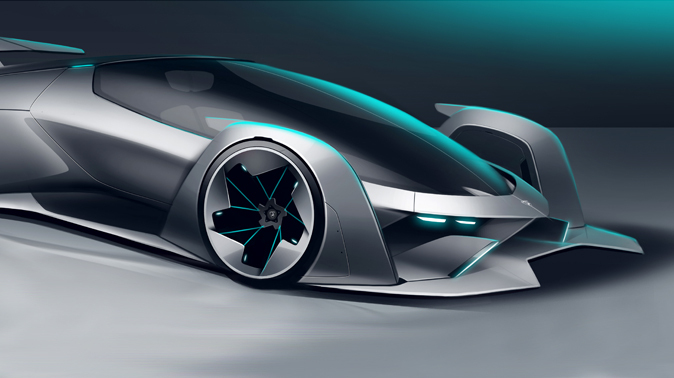 Graduated in Transportation Design in IED Torino, he achieved a Master in Transportation Interface Design at IED Madrid-Torino with a sponsorship from Pininfarina. 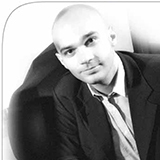 He worked at Motorola USA in 2004 as Pininfarina Spokesman and began his freelance career in 2005. 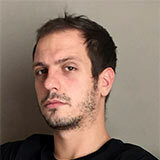 He’s currently Teacher in IED Torino and Senior Design at Pininfarina.